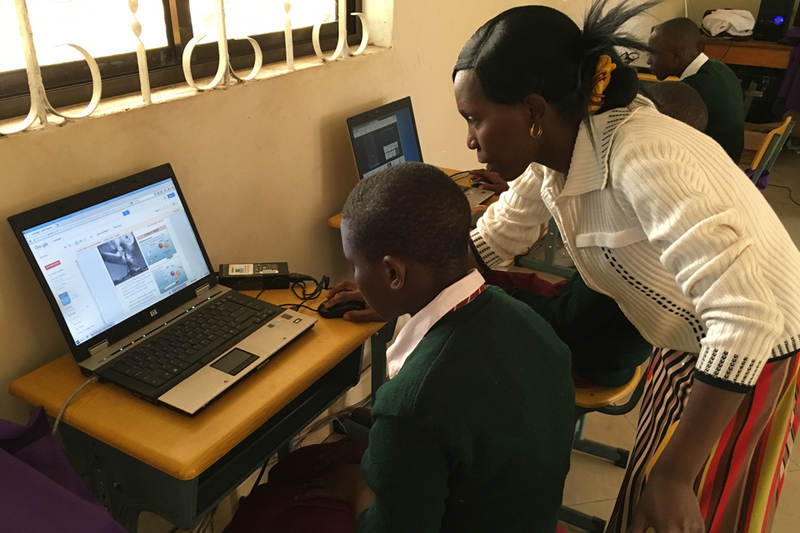 312 schools in rural Tanzania have been provided with access to the internet, transforming education for over 34,000 children thanks to pioneering UK satellite technology. 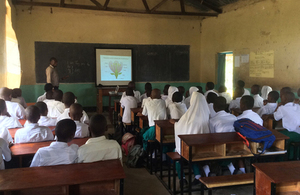 A teacher in Butimba Primary School (Mwanza) using the iKnowledge ICT equipment to teach students about Flower Anatomy. Due to poor internet coverage, teachers in remote schools previously had to travel long distances to access educational material. Some schools have already reported improved confidence in their teachers and better exam results from their students. Launched in 2015 the iKnowledge project, led by British satellite operator Avanti Communications and supported by the UK Space Agency aimed to equip rural areas with satellite internet to improve education in Tanzania and develop innovation and technology in the UK. The project has now completed its first phase of funding and the next step is to leverage the robust iKnowledge infrastructure for new educational projects to scale up. Avanti and UK Space Agency have been awarded a Certificate of Education Appreciation from the Tanzanian Education Authority (TEA) for the iKnowledge Project. This capability was delivered by Avanti’s HYLAS 2 Ka-band communications satellite. The satellite is specifically designed to provide high-speed broadband internet in areas lacking poor terrestrial or mobile coverage. A few selected iKnowledge schools have been installed with Wi-Fi Hotspots to give schools the flexibility to buy internet only when they need and without the monthly internet subscription commitment. When not in use by schools, the system can be used by the local community. iKnowledge was one of the first projects to be awarded through the UK Space Agency’s International Partnership Programme (IPP) in 2015. IPP is a five-year, £152 million programme designed to partner UK space expertise with overseas governments and organisations. It is funded through UK aid from the department for Business, Energy and Industrial Strategy’s Global Challenges Research Fund. GCRF is a £1.5 billion fund which forms part of the UK Government’s Official Development Assistance (ODA) commitment. Through partnership projects like these, UK aid is tackling some of the biggest global challenges of our time to help make communities across the world safer better, safer and more prosperous. There are currently 33 projects funded through IPP, ranging from tackling deforestation in Latin America to increasing disaster resilience in South East Asia.